On the other side of the door is a lawless world where any broker can sell anything to anyone. Stolen goods are always on quick sale, and at the cheapest market prices. To make sure that you don’t become a victim of silly fleece, do two things. First, ask for proof of the legal ownership of goods. This may take a while, but it will be worth your time. Lastly, a Bill of Sale Forms to involve a seller in signing the transfer of ownership rights of the goods in question. Here are useful forms targeted to your needs. 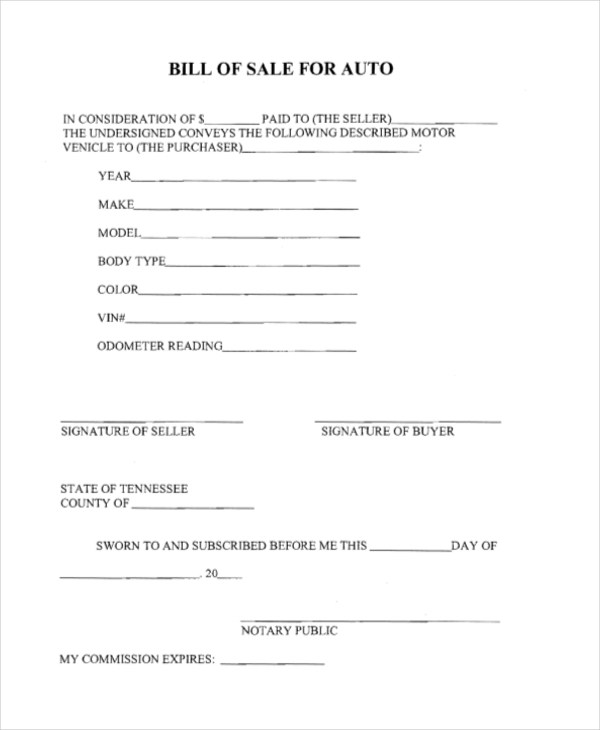 The Car Bill of Sale Forms is a file designed to help you transfer the ownership rights of your car to a new buyer. Fill out the details of the car, your personal information, and your signature. Let the buyer do the same before sharing a copy of the bill of sale with them. A bill of sale form is a strong evidence for two things: a completed transaction and the change of ownership of goods. 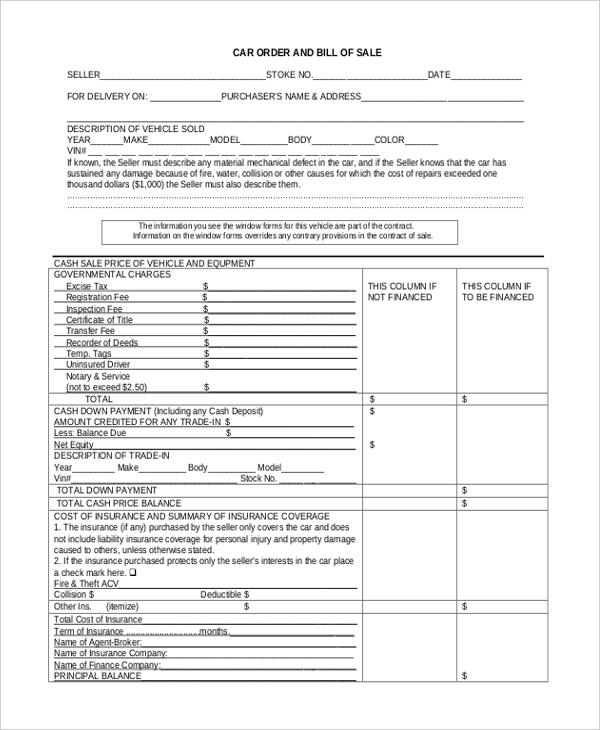 This form is suitable for selling the vehicle, houses, guns, and boats. If you have found a willing buyer who’s ready to take the car at your asking price, you will need to write a bill of sale for the transaction. You can do so by downloading and using this sample form. The first rule of selling a car is that you must be the legal owner of the property. The second rule is you must have an auto bill of sale. You can use this sample file as your bill of sale template to save time. 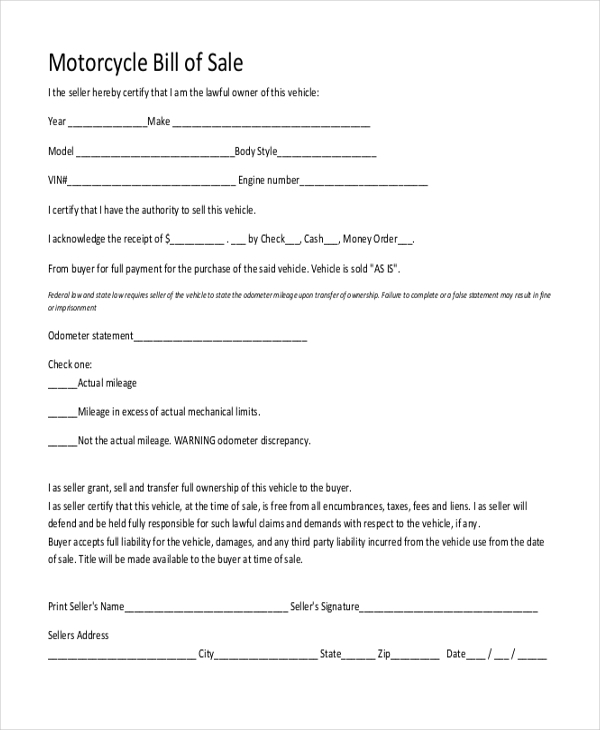 People who sell motorcycles, either as business owners or as brokers, should have a bill of sale. The bill of sale is the only document that proves the transfer of ownership rights of an item. 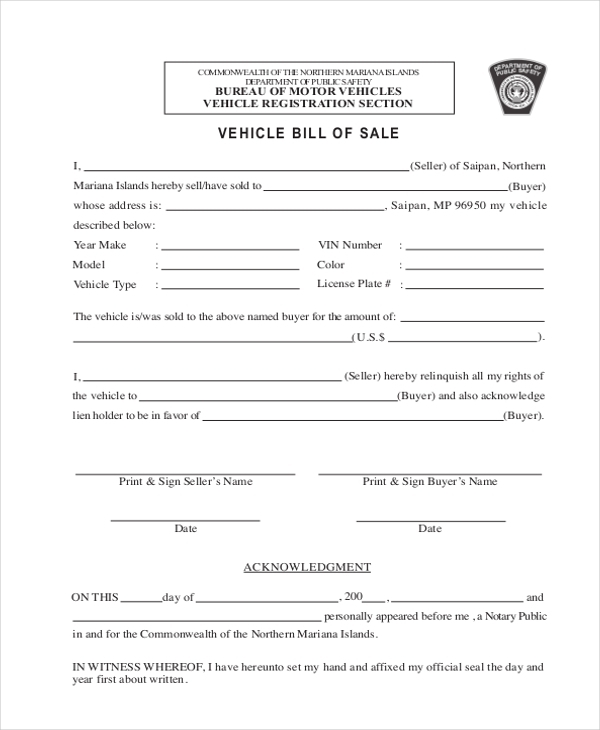 Selling a Boat Bill of Sale Forms requires two things: legal proof of ownership of the product and a bill of sale form. Download this sample file and use it to prepare your bill of sale. If you are looking for a file that you can download and use without paying a dime, this may be exactly what you need. Note that the file is easy to edit, ready for print, and very easy to customize. 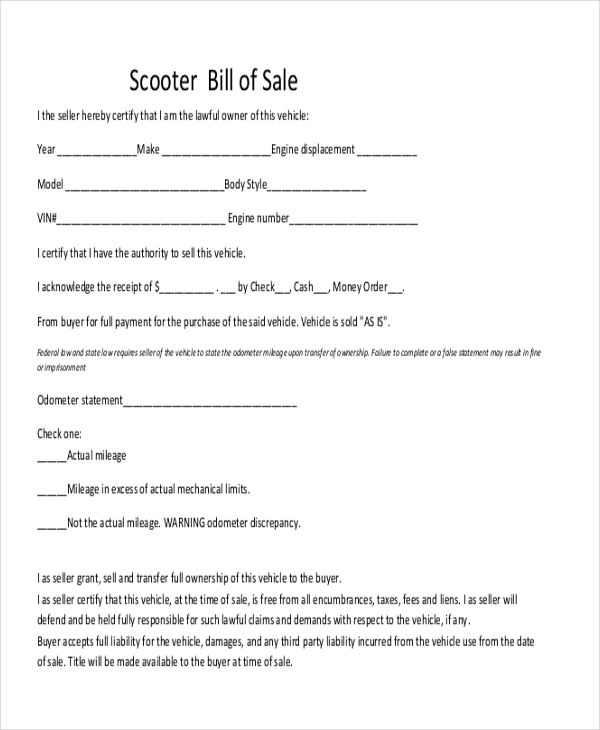 This bill of sale form is for those who want to sell their scooters to the willing buyers. The sample form is free to download – with a single click of a button. And of course, the file is ready for print. 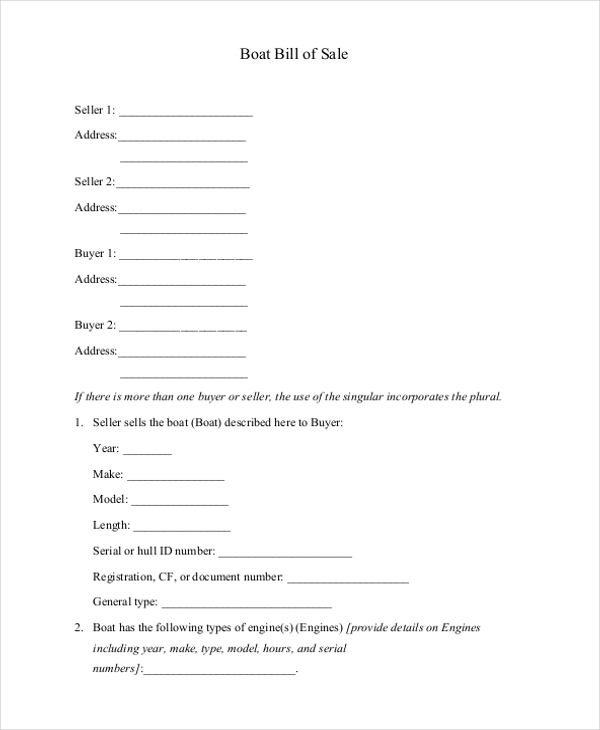 Bill of sale forms is for those people who are interested in buying and selling durable goods. The sell and seller in this context are not specific, but the most interesting part is the function of the bill of sale. Let’s examine a scenario to make meaning out of this. You may also see Horse Bill of Sale Forms. Let’s assume you want to sell a car. The first thing you do is to look for a buyer. When you find a customer interested in buying the goods, they will ask you to fill out and sign a bill of sale. Once you sign this document, you cease to become the rightful owner of the vehicle. You have completely transferred your ownership rights to the buyer. That’s how the form works. You can also see General Bill of Sale Forms. The files are ready for print. You do not have to customize the design or the text. The design is standard for the general market. You should use the sample bill of sale forms for the following purposes. 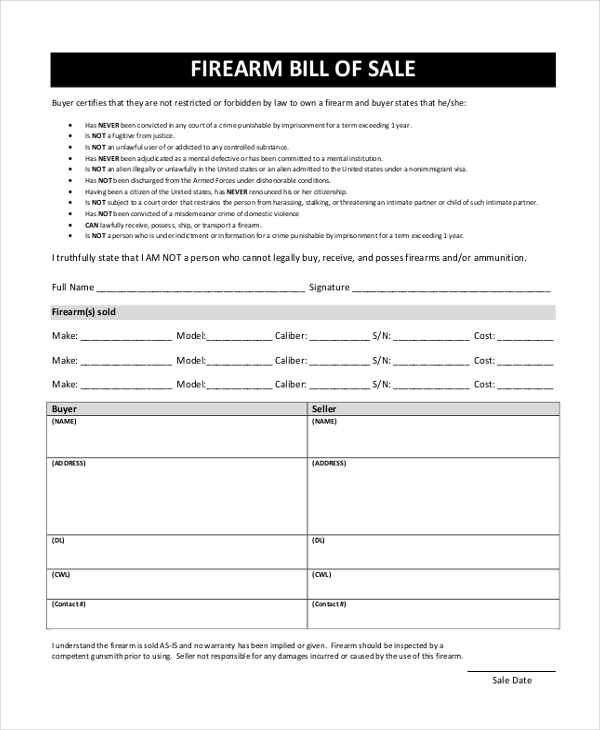 Use a sample bill of sale if you would like to sell a gun that you no longer want to keep. 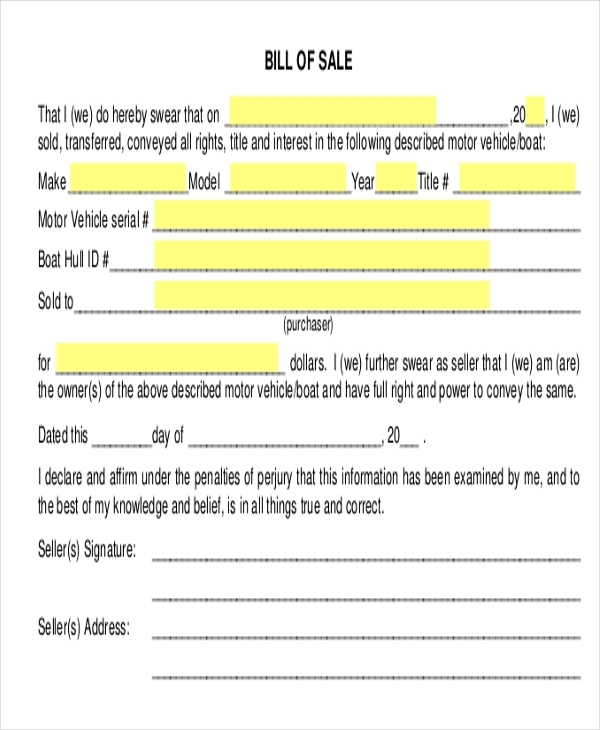 Use a bill of sale PDF if you would rather sell your car to someone who’s willing to buy it.